The format of the National Clean-Up Namibia Campaign will change this year in that it will be better planned than last year and that will coincide with the commemoration of World Clean-up Day in September. This also means that National Clean-Up Namibia Campaign will also not take place on the first day of May like it did last year. 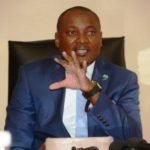 The Minister of Environment and Tourism, Pohamba Shifeta launched the second National Clean Up campaign last week and said that the event for this year is scheduled for Saturday, 21 September. During the launch of the National Clean-Up Namibia Campaign Shifeta said it is the plan of the Government to also disseminate information and awareness through a parallel campaign that will be focussed on changing the mindset of everyday Namibians with regard to littering. The physical clean-up campaign will take on very much the same format as last year. Shifeta said the reason for shifting the date to 21 September is to give government sufficient time to plan and prepare for the event. “It will also bring Namibia in line with the commemoration of World Clean-up Day, which originated in Estonia in 2008 and is now held annually. It involved an estimated 17 million people in 158 countries across the globe last year,” Shifeta said. Shifeta urged all respective governors and regional councils to again mobilize the necessary preparatory structures at the regional level to plan and take forward this year’s campaign. The second part of the campaign will be a sustained awareness and information campaign to change the behaviour and mindset of the entire Namibian population. Shifeta said it the campaign will target all sectors of the Namibian population through various communication, education and public awareness initiatives. The second part of the campaign will be focussed on the Namibian Youth who are the future leaders and inheritors of the environment.